From FYE to ROI to HIP, librarians are seeing new acronyms emerge in their campus administrations’ initiatives. How can today’s academic libraries position themselves to improve student success and retention, using high-impact practices (HIPs) to demonstrate a return-on-investment (ROI)? Many libraries struggle to define and implement their services in a way that meets these shifting expectations. vlog is simply a blog in video form. In a vlog, you can share anything you might do in a blog post, such as a tutorial or a story from your life. Consistency is best for vlogging. If you post a vlog here and there, you won’t gain much traction. the purpose of a vlog is to help people discover you. Videos that may be suitable for YouTube but that don’t help people discover you, such as a product commercial or an introduction to your company, don’t make great vlog posts. To be discovered, think of the users who are searching for a concern, a specialty, or the answer to a question. Think about what a potential customer or audience member might want to know, create a video about the topic, and upload it to YouTube. develop a strong message before you begin your video. the camera is a vehicle delivering your message to people. When you talk to viewers the way you talk to another person, you do much better on camera. the return on investment for vlogging, you need to focus on your goals. Don’t worry about vanity metrics such as followers, likes, and subscribers. Instead, measure what actually matters for your goals. For example, if your goal is to get clients, consider how many clients you need to acquire to make the hours you put into vlogging worthwhile. goals and milestones are important for determining your ROI. Consistency is another element for raising your channel’s profile on YouTube. If you post a video only here and there, you don’t consistently bring traffic and grow. Social media data is the collected information from social networks that show how users share, view or engage with your content or profiles. These numbers, percentages and statistics provide better insights into your social media strategy. social media analytics to make sense of the raw information. media data as the ingredients to your meal and the analysis as your recipe. Without the recipe, you wouldn’t know what to make or how to cook it. Key performance indicators (KPIs) are the various business metrics used to measure and analyze certain aspects of your business. 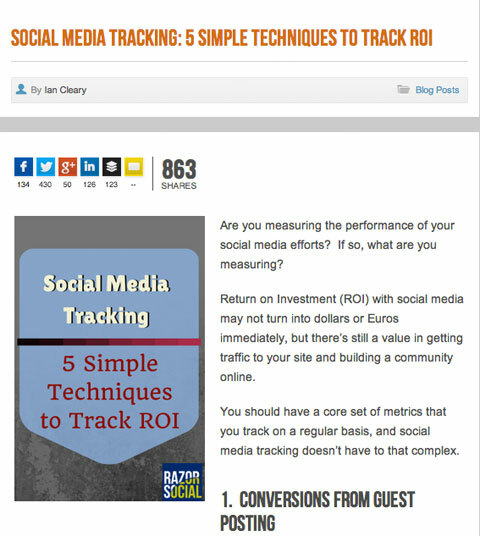 Social media KPIs are the metrics that likely factor into your social media ROI. Facebook business page, you can analyze some KPIs within the social network. The most essential Facebook metrics include (see entire article). Engagement Rate: Total link clicks, Retweets, favorites and replies on your Tweet divided by total impressions. Followers: Total number of Twitter followers. Link Clicks: Total number of URL and hashtag links clicked. Mentions: How many times your @username was mentioned by others. Profile Visits: Total Twitter profile visits. Replies: How many times people replied to your Tweets. Retweets: Total Retweets received by others. Tweet Impressions: Total of times your Tweet has been viewed whether it was clicked or not. Tweets: How many Tweets you’ve posted. Clicks: Total clicks on a post, company name or logo. Engagement: Total interactions divided by number of impressions. Followers: Total number of new followers through a sponsored update. Impressions: Total times your update was visible to other users. Interactions: Total number of comments, likes, comments and shares. Average Session Duration: Average session times users spend on your site. Bounce Rate: Percentage of users leaving your site after one page view. New Users: Total number of new users coming to your site for the first time. Pages / Session: Average number of pages a user views each session. Pageviews: Number of pages loaded or reloaded in a browser. Sessions: Total times when users are active on your site. need to decipher what’s most important. If you wanted to track audience growth on Facebook, consider engagement rates, new followers, Post reach and organic Likes. 41% of companies and agencies no clue about their social media financial impact. It’s nearly impossible to figure out data overnight. Instead, it takes months of tracking to ensure your future business decisions are valuable. Sprout’s suite of social media analytics tools give you presentation-ready reports on major social networks.